Outgoing Gor Mahia skipper Jerim Onyango who has now officially announced his retirement from football, has expressed his gratitude to the club and its fans. 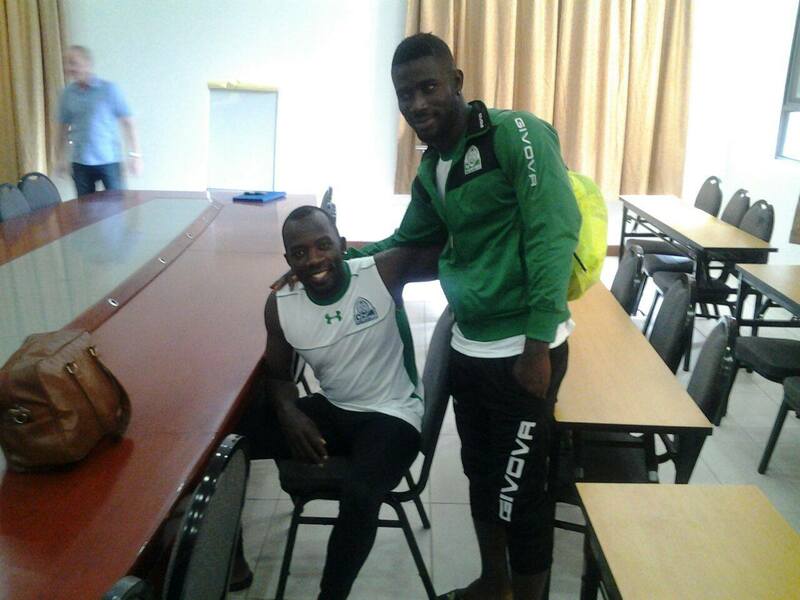 “It’s been a great honour to be part of one of the greatest clubs in Kenya (Gor Mahia) for nine years. As l hang my gloves, my sincere appreciation goes to the club as a whole for giving me that chance to offer my services,” he said on the club’s site. Jerry who was largely responsible for enabling Gor Mahia beat US Bitam of Gabon in 2014 when he saved four penalties in one game, expressed disappointment that the team did not accomplish much continentally but was proud of what he accomplished domestically. “We may have not achieved much at continental level but locally, I am proud of a club l served with all my heart. Although we had some of the toughest times, we had good moments where we delivered as expected and achieved as a team hence was worth a clap” he continued. He has the distinction of being the longest serving player of this millenium. Having been voted three times as captain, Jerry was seen as a natural leader of men and was one of the most disciplined players. Thank you Mr. Jerry for your service. We wish you all the best , may God bless you. Thank you and goodbye, Jagoal. Those left behind should strive to emulate Jerry’s humility even when faced with challenges. All the best in your new journey. Jerry was simply one of the best goalkeepers to ever don the famous green and white uniform of Kogalo. Your talent was outstanding and so was your discipline. One to be emulated by many. He served Gor Mahia during the period when it was hard to remain rooted to your beliefs as there was no money in the club. Your raised our spirits jagoal when you refused to move to other clubs that were offering you more money. You will forever remain a legend for Kogalo. game ya sudan updates yawa? 2.Abondo issue ja-asego updates.